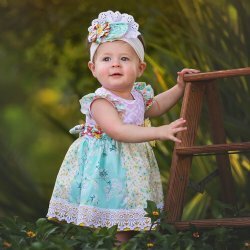 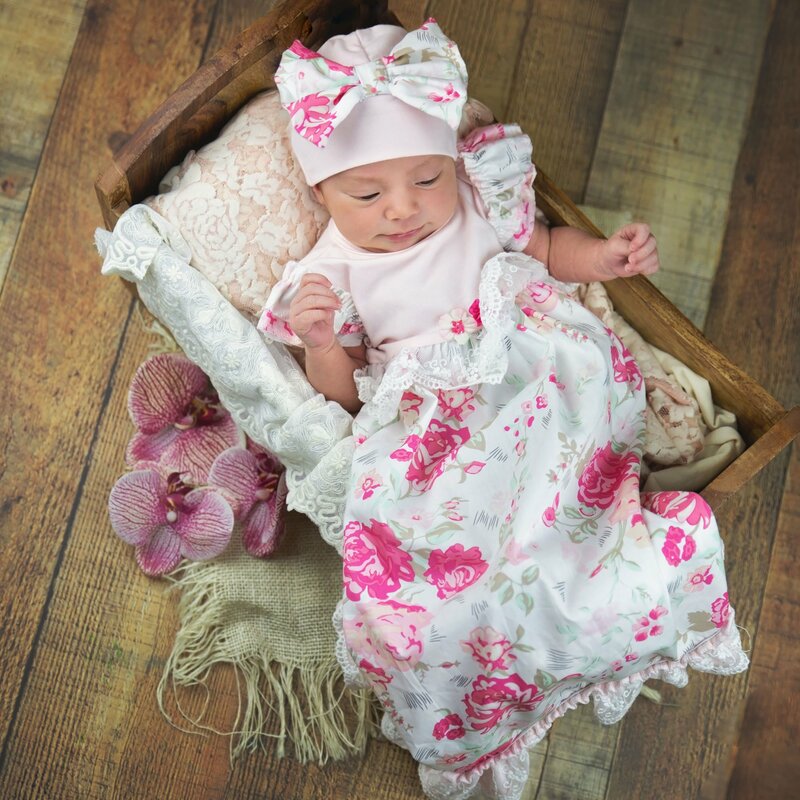 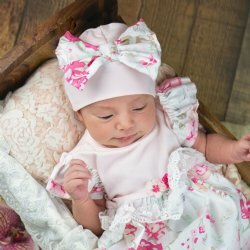 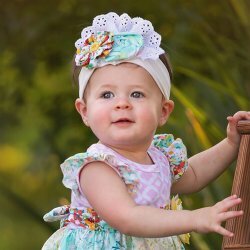 Such a sweet and lovely newborn gown from Haute Baby that we just fell in love with and know you will, too. 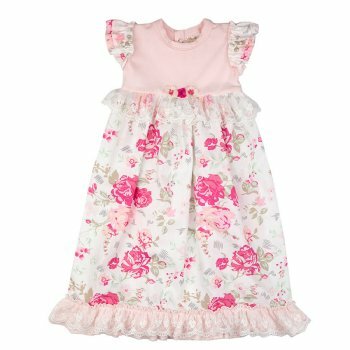 This "Garden Party" gown features a pastel pink bodice that has capped ruffle sleeves in the classic floral pattern as the gown. The bottom of the bodice is embellished with three coordinating flowers and a draping lace ruffle for added charm. 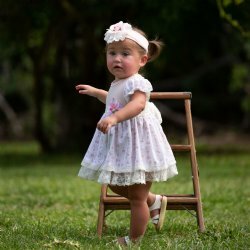 This same lace hems the edges of the gown as well.